The thing about cameras is that they’re pretty senstive pieces of equipment. You’ve got some high-tech electronics and precision mechanical engineering crammed into the smallest space possible, which tends to make for a fairly fragile package. Now wouldn’t it be great if you had a camera that you could just chuck into your pocket and forget about? One you could drag out while snowboarding or snorkelling without having to wonder whether it would survive? Camera manufacturers are obviously thinking the same thing – recently there have been a few “go anywhere” models released – follow the jump for a brief roundup. 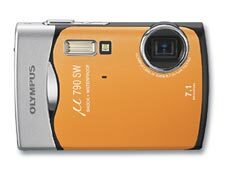 Olympus also have a range of waterproof cameras but they’ve gone one step further and labelled the µ[mju:] 790 SW as “Shockproof”, rating it as able to survive a drop of 1.5m. They also list a waterproof depth of 3m – enough for snorkelling and certainly enough to label the camera as a “carry and use anywhere” on land. This retails around the $300 mark. 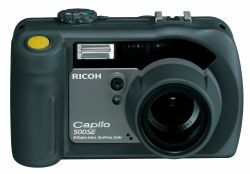 Ricoh may be a slightly lesser-known brand but they’ve been in the camera business forever and they were one of the early manufacturers to make a waterproof digital compact. The recently announced Caplio 500SE is the latest evolution of their waterproof range and it’s aimed at a more demanding market than the previously mentioned Olympus and Pentax models. 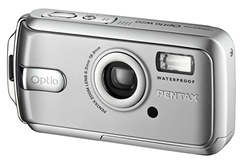 Your $1000 gets you 8 megapixels, a 28mm wide angle lens (great for group/scenic shots), wifi and bluetooth connectivity(!). This last option can link the camera to any handy bluetooth GPS receiver so your photos will be automatically location stamped. Ricoh specify it as being shockproof for a 1 meter fall, waterproof to 1 meter and a minimum operating temperature of -10 degrees C. It’s designed to be used while wearing gloves (not unreasonable when you consider who might want to use it) so it’s larger than the other models. 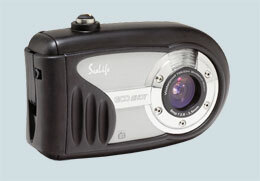 Lastly I came across this camera by Sealife. I’d not heard of them before but the specifications on the Reefmaster Mini are interesting. You get 6 megapixels – more than you need in a compact anyway if you care about quality – plus 2m of shockproofing and waterproofing to 40m! This also seems to be retailing around the popular $300 range. So there you are – with one of these cameras in your pocket there’s no excuse for missing a shot, no matter where you are!